Every year ACSA sends a member of the Management Committee to a sister citizen science association conference somewhere in the world. 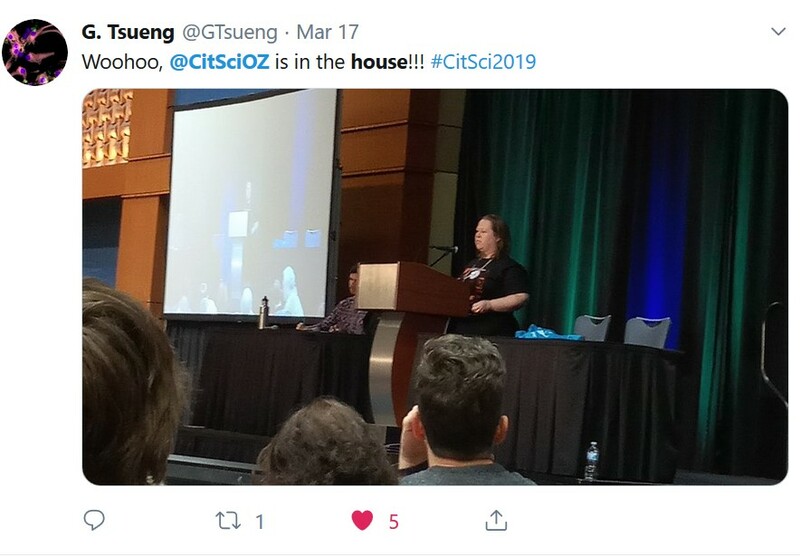 This year I was the lucky one, so earlier this month I set off to attend the Citizen Science Association’s #CitSci2019 Conference in Raleigh, North Carolina USA. After more than 30 hours of travel I flew into Raleigh at 4am on Tuesday the 12th of March, grabbed an UBER and headed to the hotel. The first day of the conference dawned cold and fine. I headed across the road to the Raleigh Convention Centre to help with the expected 800+ registrations! I was very impressed by CSA’s organization of this event. At #CitSciOz18 we had 3 concurrent sessions running at any one time. 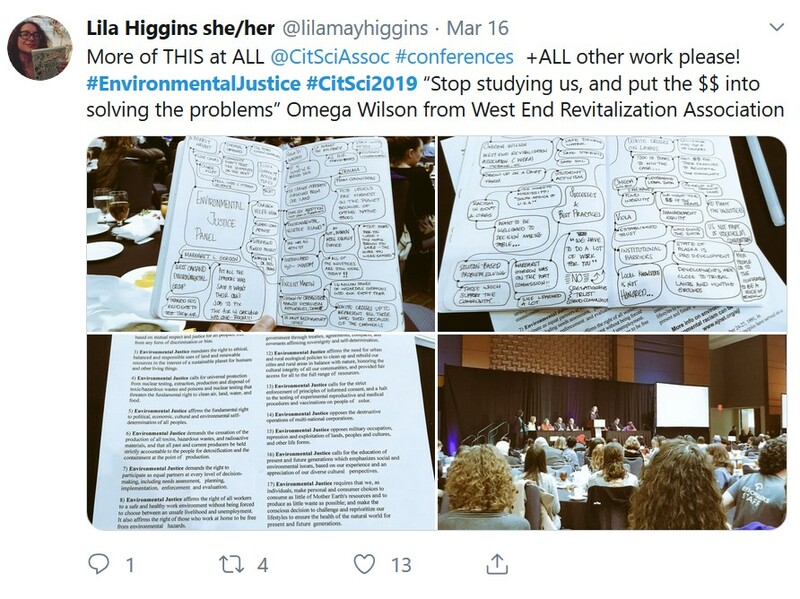 However at #CitSci2019, CSA had up to 7 sessions running concurrently! This made me very busy trying to figure out which sessions I had already pre-booked and which ones I had already nominated to go to. I would have loved to go on the excursions but I wasn’t sure what I would miss out on that day. Thank goodness for the conference app! The theme for the conference was “Growing Our Family Tree”. There were 4 main sub-themes intertwined throughout the conference. The themes were Equity (not equality), Education, Environmental Justice and Applied Ecology. 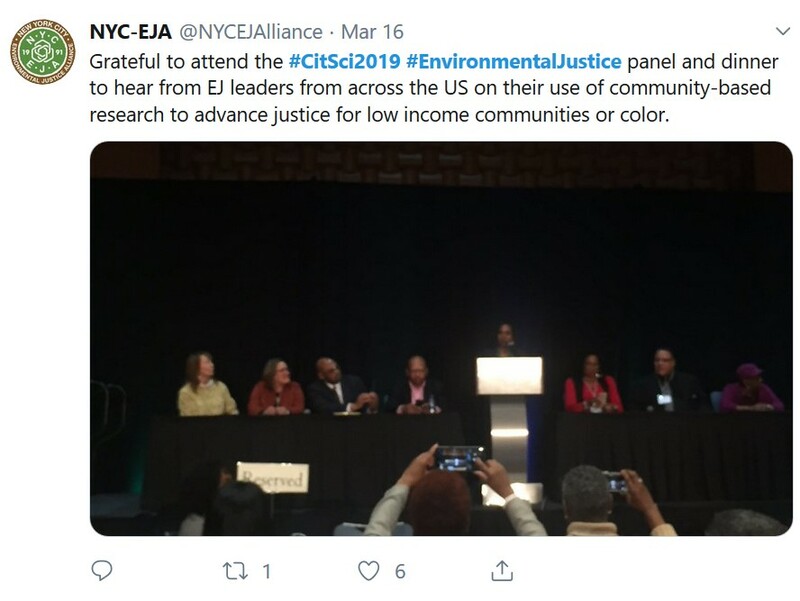 These themes were very well represented by the keynote speakers each morning and the Environmental Justice Panel on the Friday night. Of the 4 keynote speakers I was particularly impressed with Dr Max Liboiron from Memorial University and Director of CLEAR, the Civic Laboratory for Environmental Action Research, which is an explicitly feminist and anticolonial laboratory that studies marine microplastics in Newfoundland, Canada. 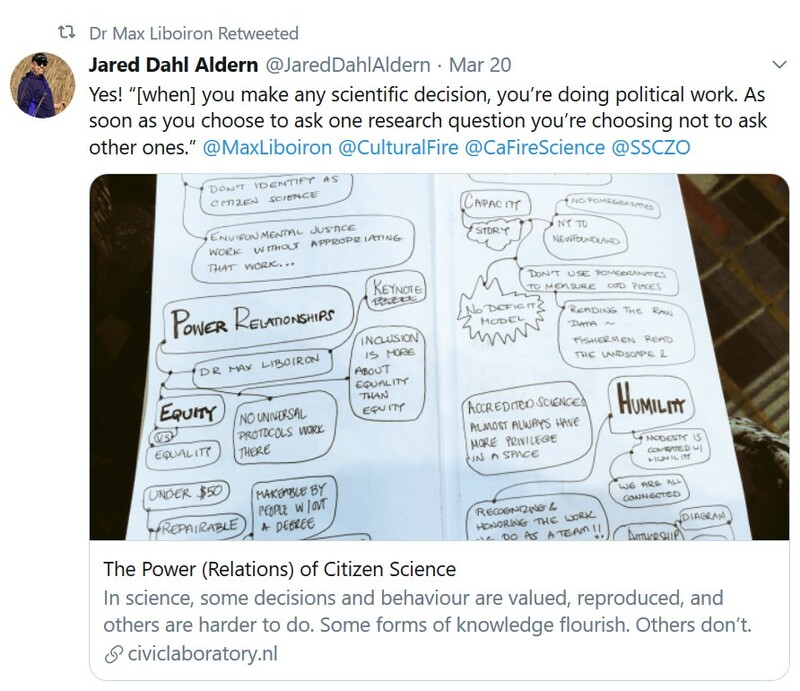 Dr Liboiron spoke about the difference between equity and equality, the power relations within citizen science, humbleness and paying her citizen scientists. I thoroughly recommend you read her speech as she has transcribed it here. 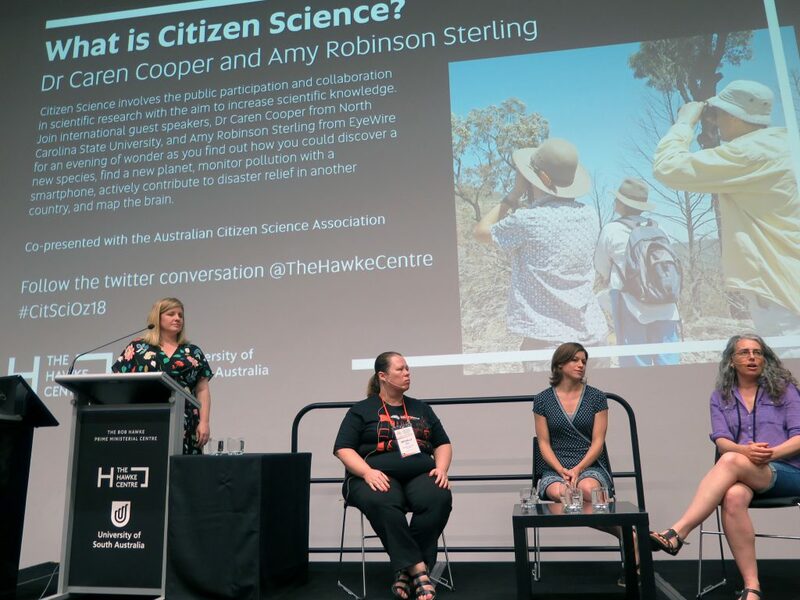 I was so impressed with Dr Libiron’s speech I even tweeted to #CitSciOz18 keynote speaker Dr Emilie Ens (We Study Country, Macquaire Uni) and e-introduced these two amazing citizen science researchers. 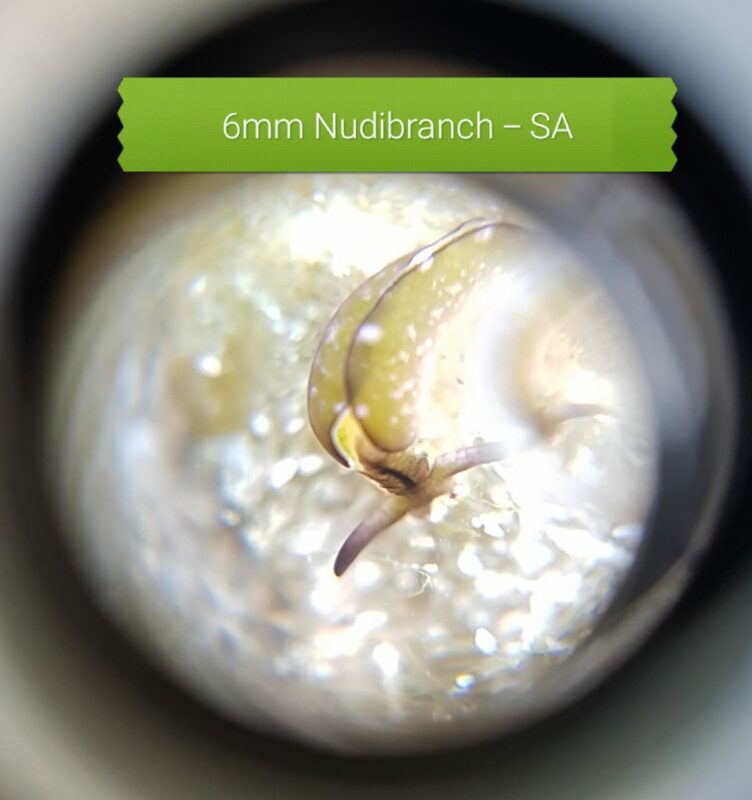 I found their methods of citizen science very interesting and thought that they should at least be aware of one another. 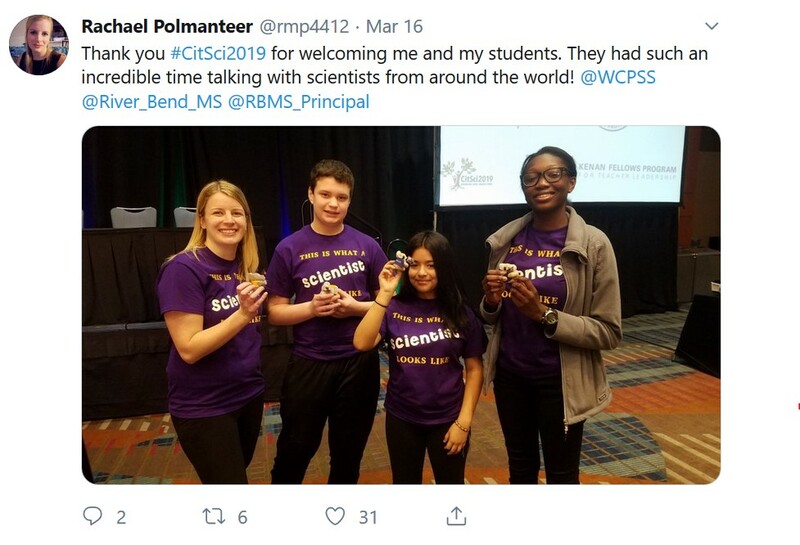 Education, particularly STEM, is a subject very dear to my heart so it was fantastic to hear Marine Biologist-turned-science teacher Rachael Polmanteer and three of her students from River Bend Middle School in Raleigh talk about how citizen science had been incorporated into their classroom and how much they now like to go to science class and what they want to do in science in the future. 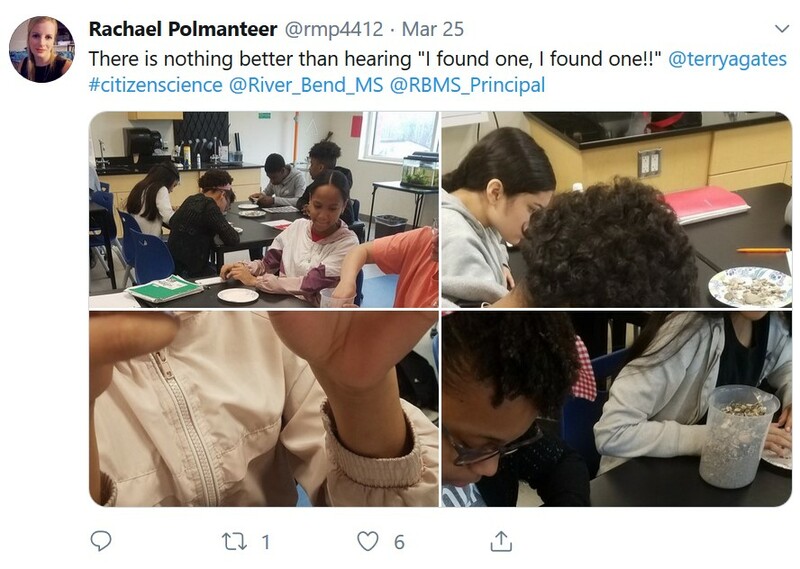 Rachael, in conjunction with citizen science practitioners, is literally writing the book on how to incorporate citizen science into classrooms with their local curriculum. This means that students (and teachers) can do more hands-on science with citizen science plus further the field of scientific knowledge. I would love to see more of this work in the open access journal “Citizen Science: Theory and Practice”. Perhaps there should be a student edition? I was very impressed with both Rachael’s and her students’ talks. It’s not easy standing up in front of so many people to talk! I gave them each a little clip on koala as a keepsake, I think they were a hit, don’t you? Did you know that the Environmental Protection Agency (EPA) in the USA have developed an “Air Sensor Toolbox”? 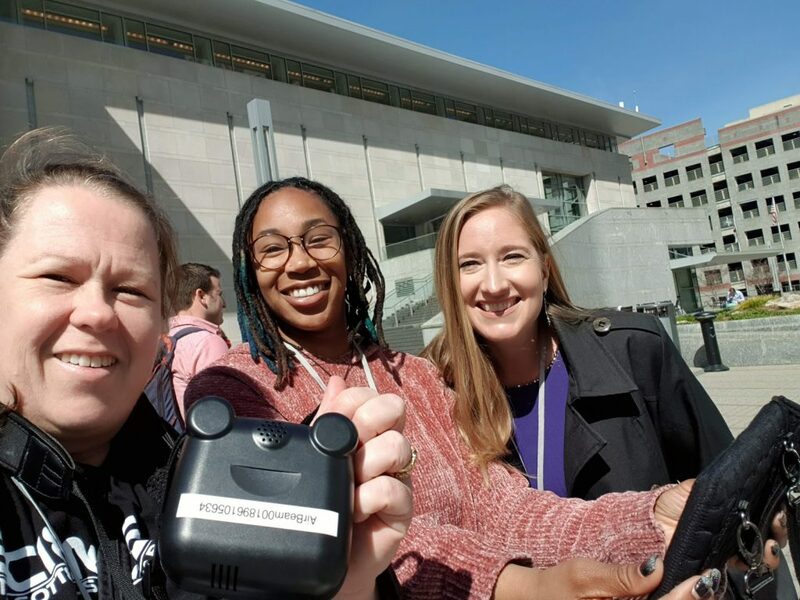 The EPA site “provides information for citizen scientists and others on how to select and use low-cost, portable air sensor technology and understand results from monitoring activities. The information can help the public learn more about air quality in their communities.” Enviromental Justice (EJ) is really just starting out here in AUstralia but in the USA it is in full swing and has been for many years. The EJ panel brought together citizen scientists and practitioners in a compelling arguement for equity. I attended one of the Air Quality Workshops presented by the EPA USA where we talked about what sort of air monitoring we would need in different situations and also about which commercially available sensors were the best fit for each situation. Then we got to go out and put the sensors to the test! My personal favourite was the AirBeam air pollution monitor which wifi’d to an Android tablet. I did find out that it wasnt available on iphone or ipads as yet. 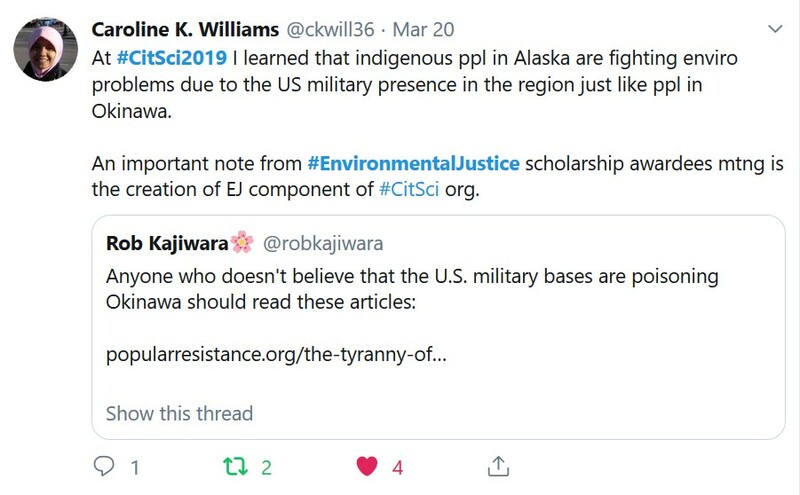 Environmental Justice (EJ) is really just starting out here in Australia but in the USA it is in full swing and has been for many years. The EJ panel brought together citizen scientists and practitioners in a compelling arguement for equity. Have you ever wondered if sour dough bread is the same in USA as it is in Australia? Or what are the microbes in your belly button? Rob Dunn from North Carolina State University spoke about the smaller things in life – ants and microbes and what they can tell us about our environment and how it is shaping us! 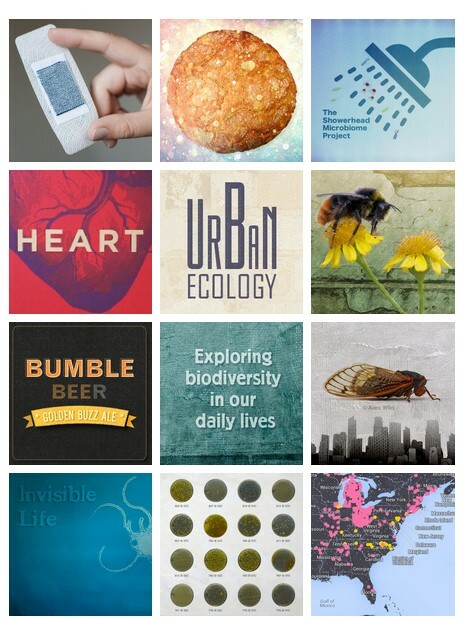 Rob’s team of citizen science practitioners run all sorts of cool projects. In fact you can ask to do the Sour Dough Project here in Australia through the SciStarter website. In fact there is even a project to make beer from the yeast wild bees pick up! 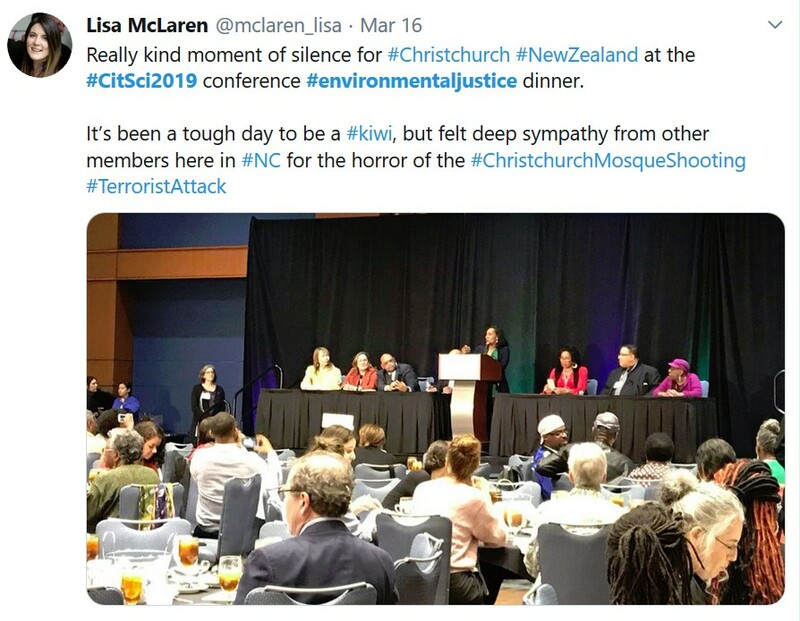 On the Friday night we had all heard the news about the terrible Christchurch Mosque Shooting. It was a tough day for our Kiwi friends in our ACSA contingent and also those of us who have family and friends “across the ditch” in New Zealand. The Environmental Justice panel Chair Dr Sacoby Wilson asked everyone to pay their respects and stand for a moment of silence for the victims of gun violence. 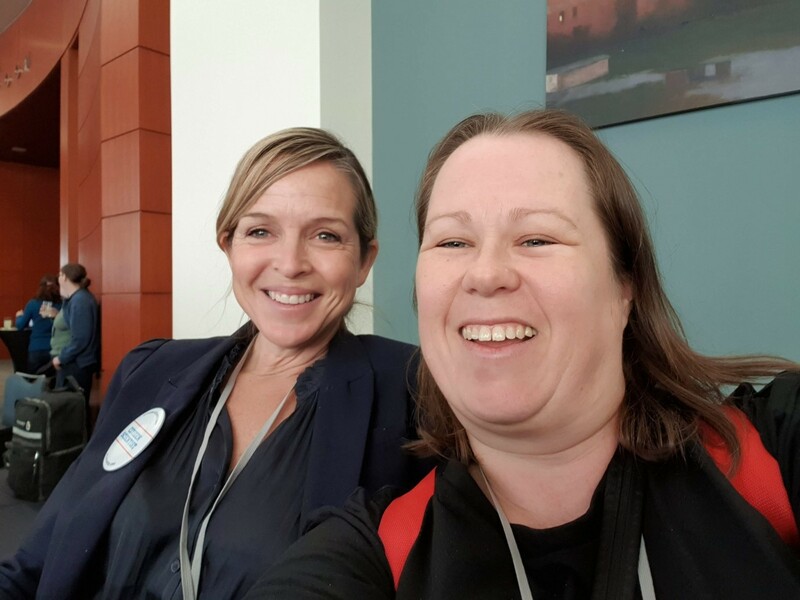 One of my highlights was chatting with and recording a podcast with SciStarter’s Caroline Knickerson and finally getting to meet the founder of SciStarter, Darlene Cavalier with whom I have been tweeting and interacting back and forth on Facebook with for ages. I even got to sit in on a few workshops with Darlene and the SciStarter crew including the all-important Citizen Science Day working group. 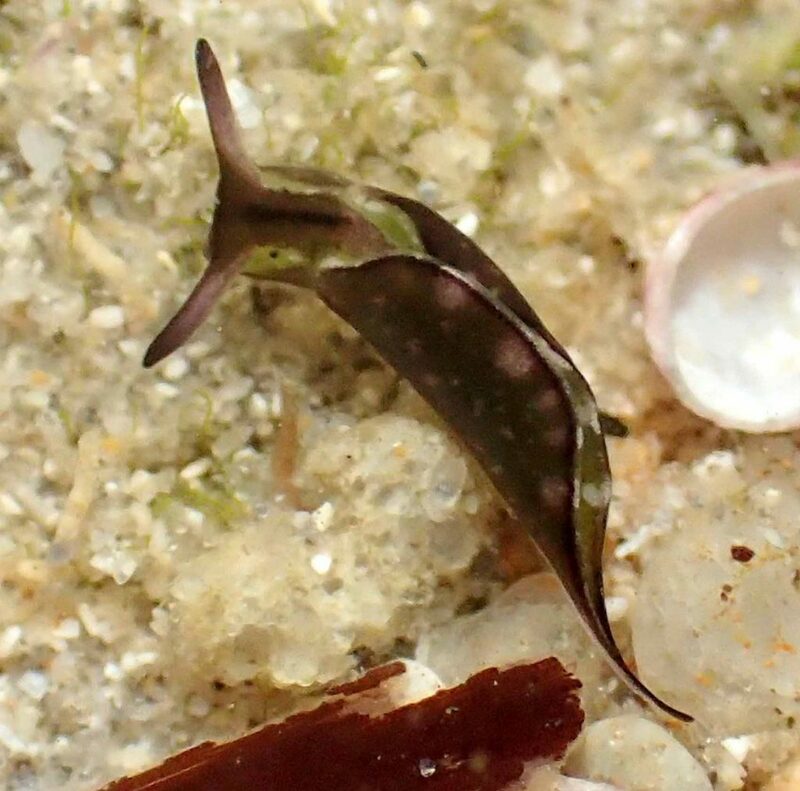 Citizen Science Day falls on the 13th of April this year. Caroline and I after taping the podcast. I loved the badges! She loved the koala! Finally got a moment to say hello to the amazing Darlene and pose for a #CitSciSelfie! 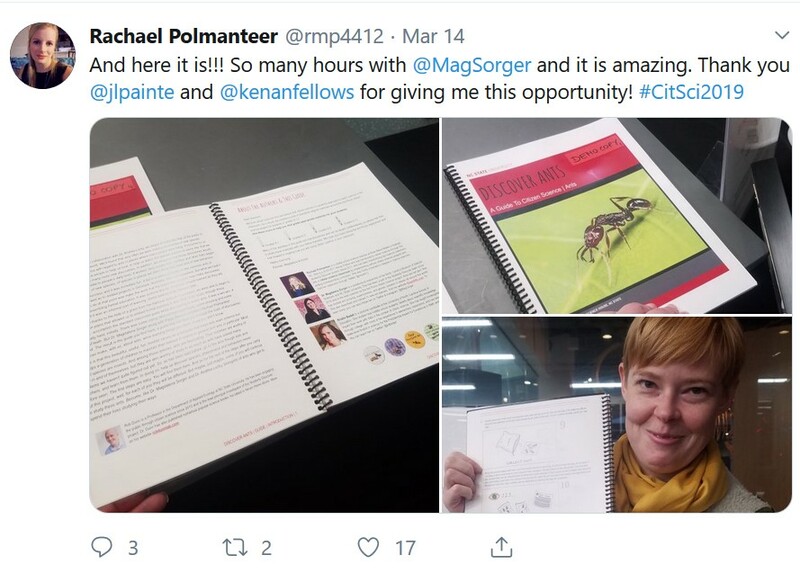 So how do you run Citizen Science Day if you’re the moderator of the Australian Citizen Science Association’s social media platforms? 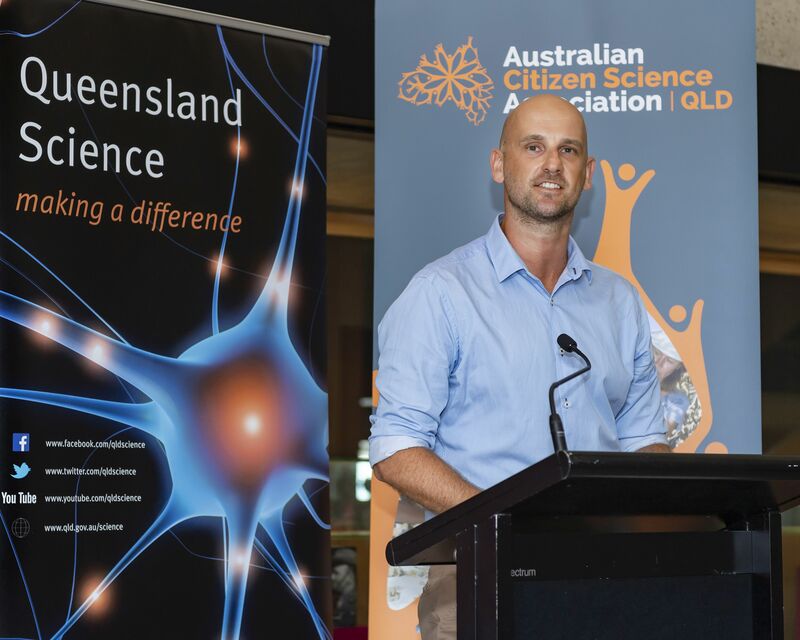 The answer is to encourage everyone to go to the Citizen Science Day website and sign up to do the Stall Catchers Megathon to help scientists find a cure for Alzheimers! 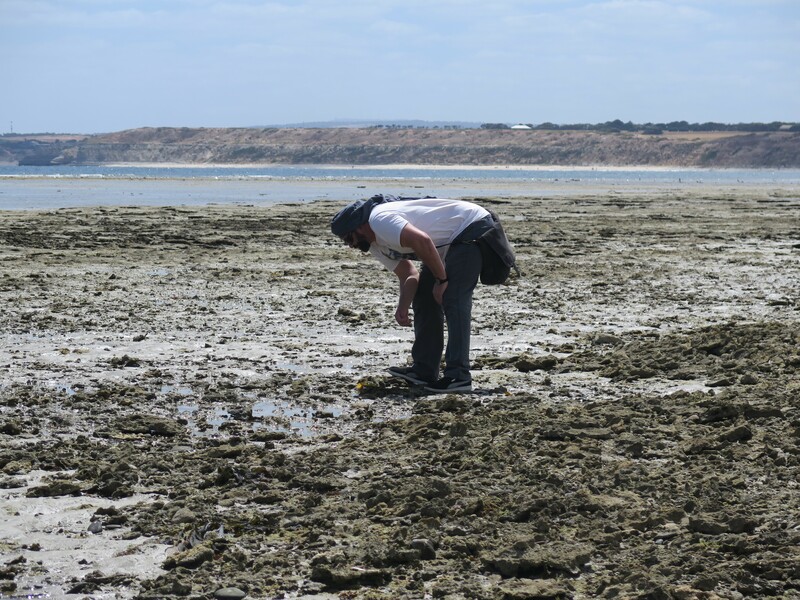 If you are running a Bioblitz or any other citizen science day event please let us know via email so that we may help you promote it on our ACSA channels. 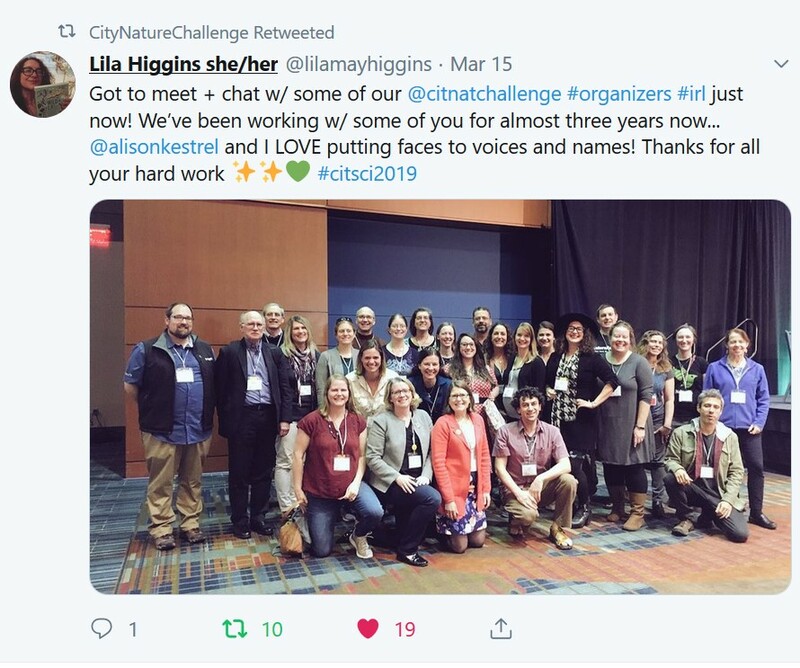 While at CitSci2019 I also wanted to find out more about the City Nature Challenge that is run every year in the last weekend of April using the iNaturalist app. 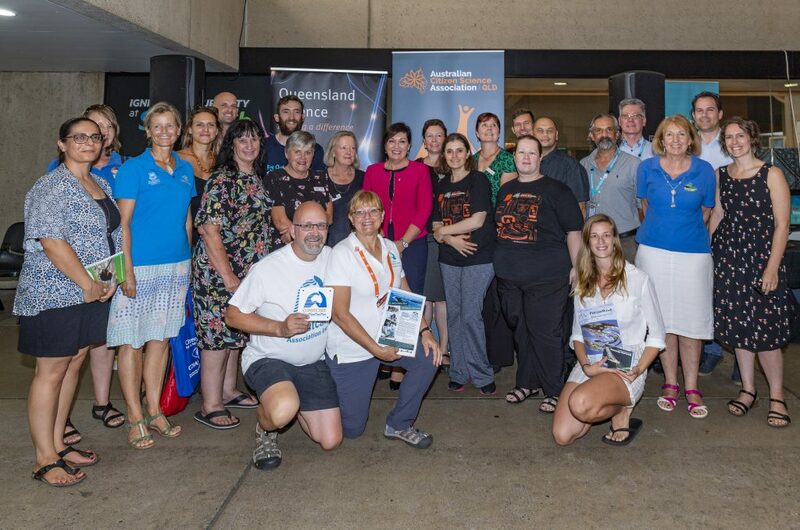 I was too late to sign up this year as an organiser but I have put my name down for next year to get some people together and Bioblitz my hometown in SE Qld. Team to beat: Boston, USA! One of my absolute favourite symposia was led by our own International Liasion Officer, Jessie Oliver as a fireside-style chat. With a truly stellar line up Jessie and her team talked tech design with around 30 audience participants. This was great because this style got everyone involved. In fact I was quite hard pressed to keep up with the minutes! 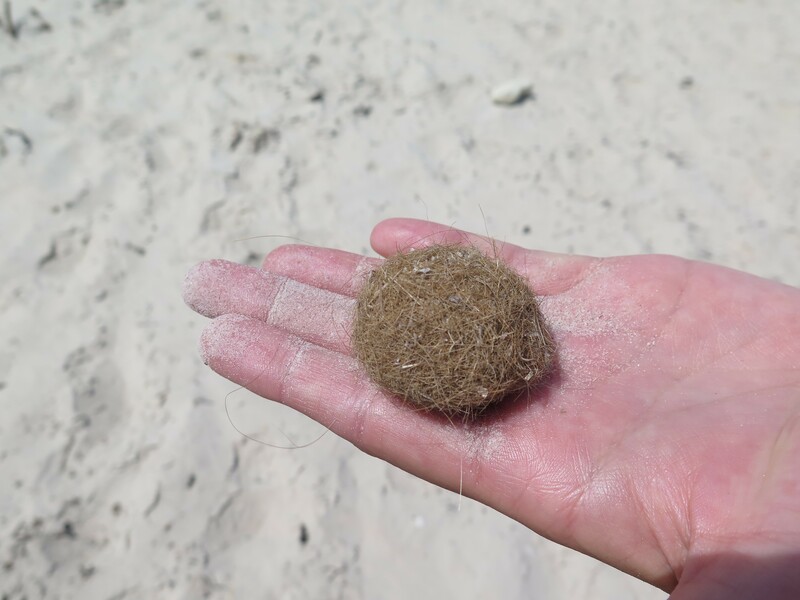 You can check out the blog I co-wrote with Muki Haklay here. Collaborative note taking! Yay! 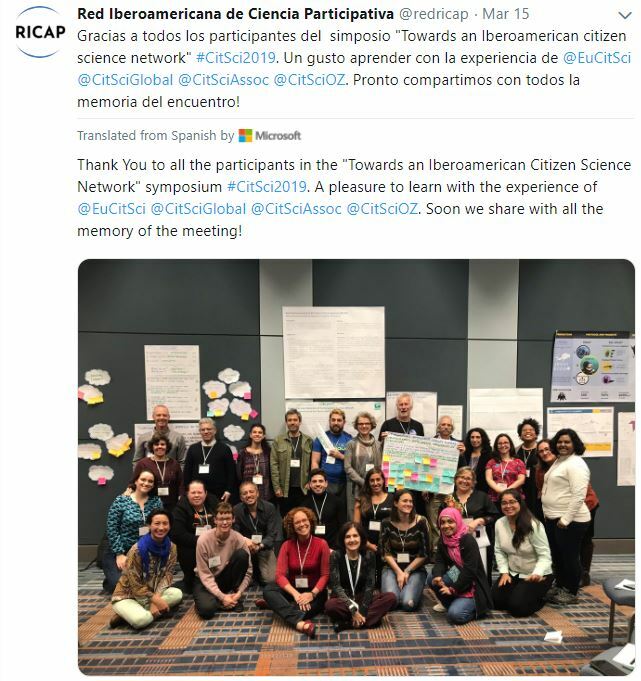 Jessie and I were also invited to attend a working group for the emerging Iberamericano (South American) Citizen Science Association and share our memories and ‘dos and donuts’ of setting up a citizen science association from scratch. I was amazed at just how much we had done, when Jessie and I started putting it all down on paper. 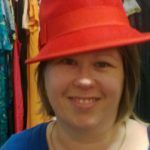 Redricap (as it is known) has the added problem of language barrier. Portuguese, Spanish and English are the three main languages of South America. I suggested that Twitter and Facebook, with their translation abilities, would be ideal platforms to start on. I am looking forward to seeing how this develops! And the whole room leapt to their feet! So I extended the invitation to come along to our ACSA #CitSciOz20 conference in SE Qld next year. I wonder how many will come along? 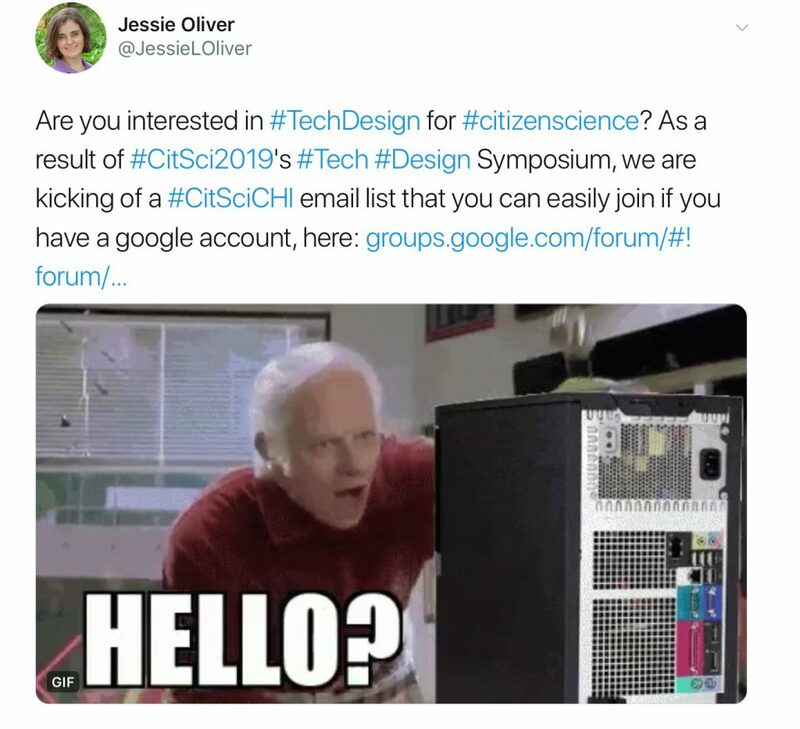 I also announced the creation of a new conference which a few of us had been discussing last year in April – the first ever Citizen Science Twitter Conference to be held later this year. 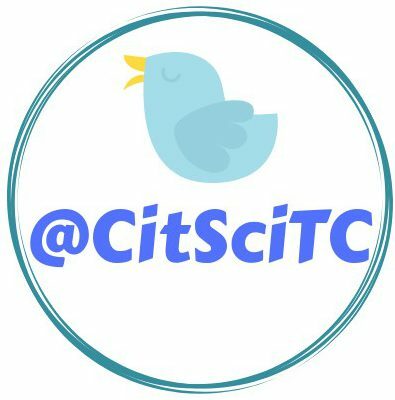 @CitSciTC is currently seeking moderators so if you are interested please contact the twitter account. 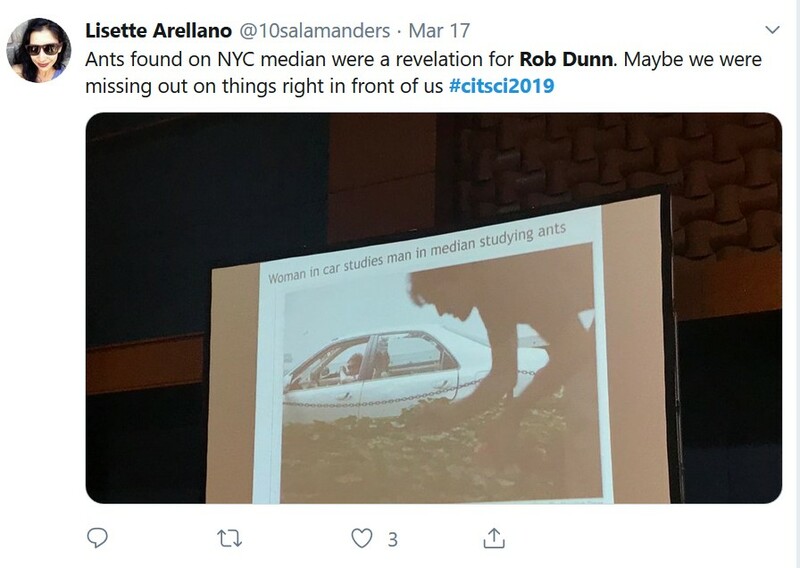 In closing, I would like to thank ACSA and CSA for supporting me to go to #CitSci2019. It was a fantastic experience working with amazing people. 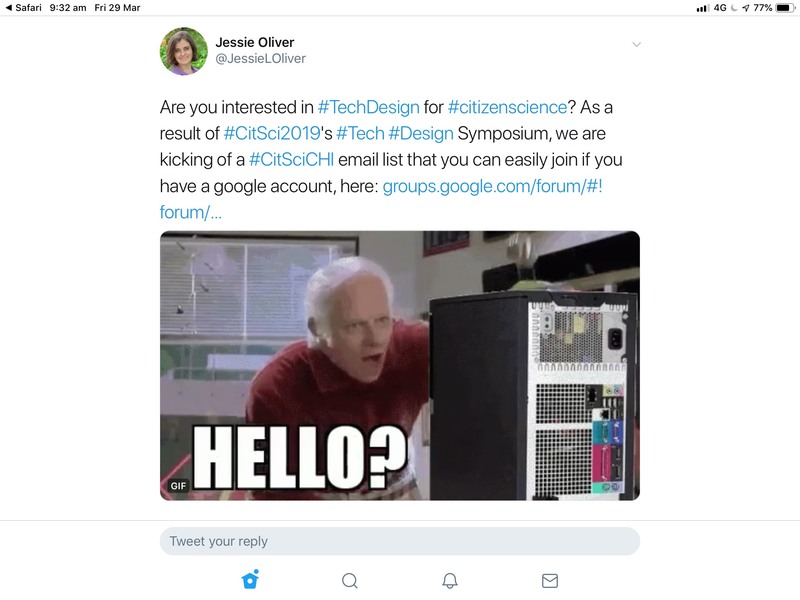 The work we have done in various symposia and workshops continues to this day as I am now contributing to Jessie’s HCI Group, Dr Andrea Wiggin’s Risk and Responsibility Group and the Iberoamericana (South American Citizen Science Association) formation working groups document. Now to try and catch up on my sleep! The stayers going out for dinner on the last night…. we didn’t want the week to end! 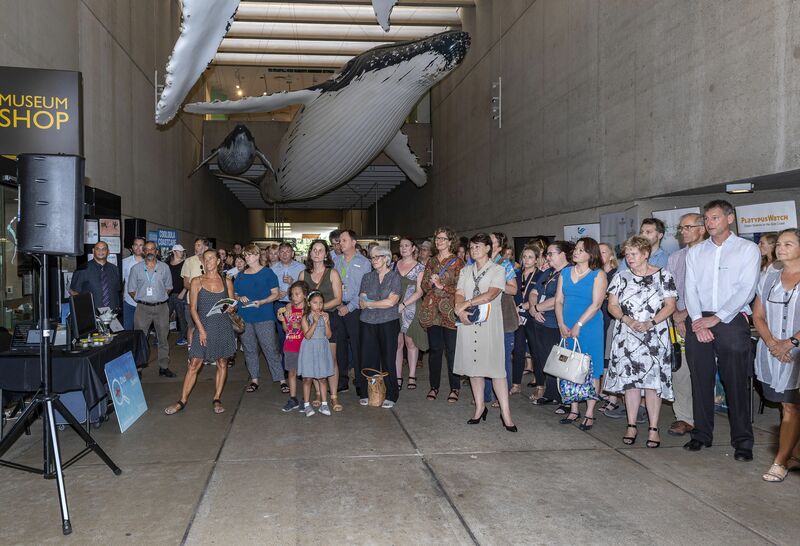 It’s hard to believe that it has been nearly two months since the 2nd Australian Citizen Science Association Conference, #CitSciOz18 in Adelaide, South Australia. For six days I was constantly on the go – averaging around 3-4 hours of sleep per night. 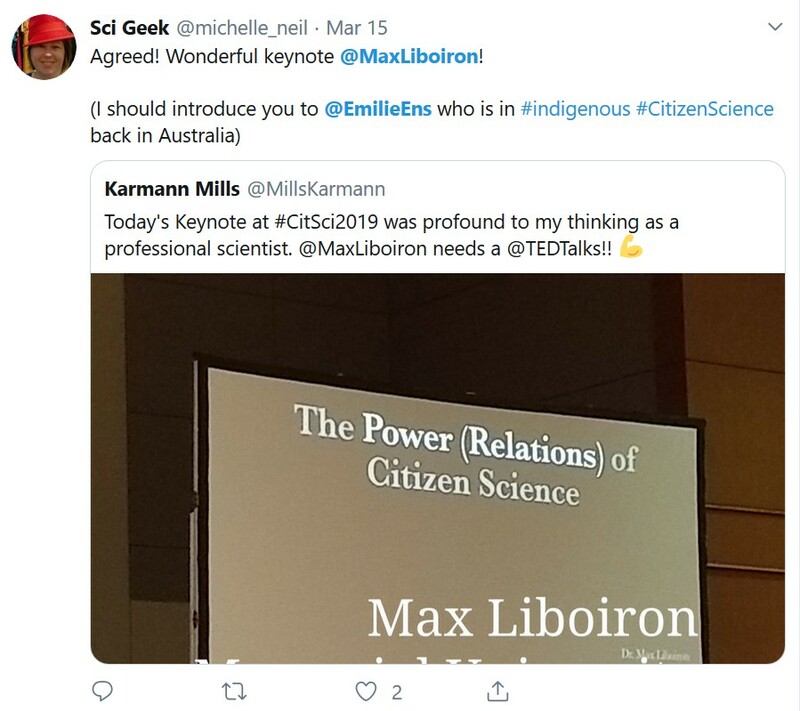 Opened by Australia’s Chief Scientist, Dr Alan Finkel spoke about how a German migrant planted citizen science in Australian and why it worked. This was followed by plenaries, short talks, long talks, a podcast with The Wholesome Show, a public talk with Dr Caren Cooper and Amy Robinson Sterling (and little old me), radio interviews, live streaming talks to the ACSA Facebook page and twitter, watching Crowd and the Cloud episode, networking, poster session, chairing a session myself on the Friday afternoon, early morning (4am!) bat catching and tagging near Adelaide Zoo, plus post-conference tours to see Echidna CSI, #greatkoalacount, Wild Orchid Watch (#WOW), ReefWatchSA, breakfasts with new friends and old, lunches, dinners, great food, awesome people, lots of laughs and, of course, relaxing at the local wineries! In fact there were there were over 120 talks, posters and workshops falling within the conference themes of #EngagingCitizens (20), #EmpowerWithData (19), #ShowcasingOutcomes (16), #Partnerships (15), #FieldProjects (14), #SocialResearch (8), #Education (6) and #Communication (4). The conference was also mentioned more than 2000 times over the three conference days on Twitter as well as Instagram, Facebook and LinkedIn. The planning process for #CitSciOz18 started well over a year ago. One of the first things the Conference Committee decided on was to try and make the conference as sustainable as possible. Plastic pens were out. Backpacks were out. People have their own backpacks and pens after all. Conference “swag”* as it is usually called was out. We even vetoed keep cups – who doesn’t have a few of them lying around? Instead it was decided to do a bamboo pen and paper for the conference and, as an added bonus, a t-shirt for all our members. The t-shirts, designed by Ellie Downing and Amy Slocombe with input from the Conference Committee, were a huge hit. 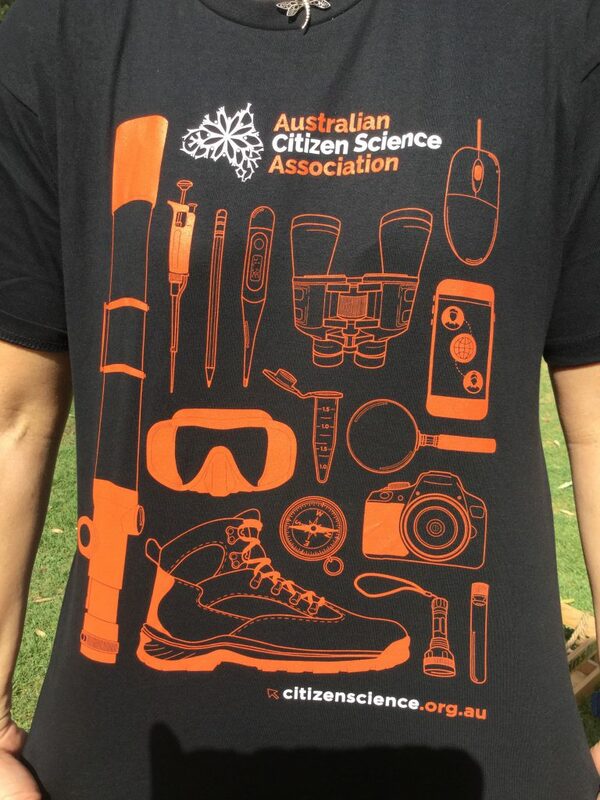 Featuring the tools of citizen science these shirts will soon be available on the ACSA website for anyone to buy. Perhaps at our next conference we might make badges or patches delegates can sew on to the t-shirt? Let us know if we missed anything and perhaps that could be the first badge! Last week I received all of the conference talks via email – audio and video in one continuous stream from 4 different lecture spaces at the University of South Australia. It is probably the largest download my computer has ever had to do. My next job as the volunteer social media moderator for ACSA is to edit all of the 100+ hours of speeches into their individual talks and upload them on to the new ACSA YouTube channel for everyone to enjoy. *swag has another meaning in Australia as some of our overseas guests found out. In Australia it means bedroll or sleeping bag or to travel with one’s personal belongings in a bundle. I have since found out it was originally an economic term which stood for Silver, Wine, Art and Gold. 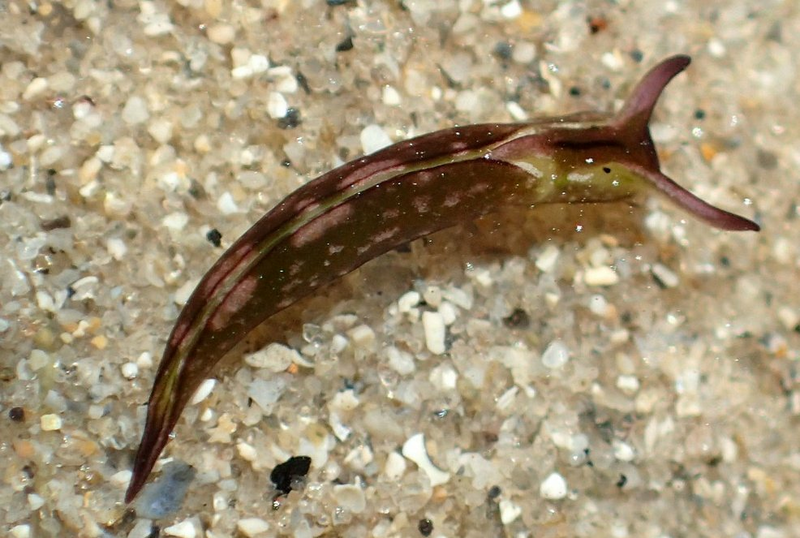 I learn something new every day with #CitizenScience!